In the last Tuesday Tip I covered the felted join as the spit splice. This type of splice is for animal fibers that are non machine washable . . . but wait, there is another way. 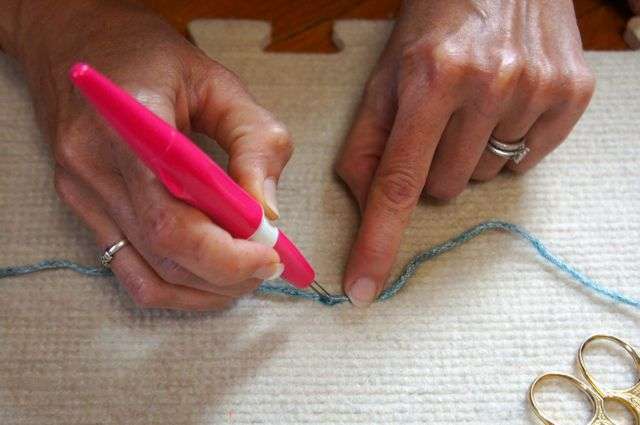 When I want to splice a non animal fiber I try pulling out my handy dandy needle felting pen. 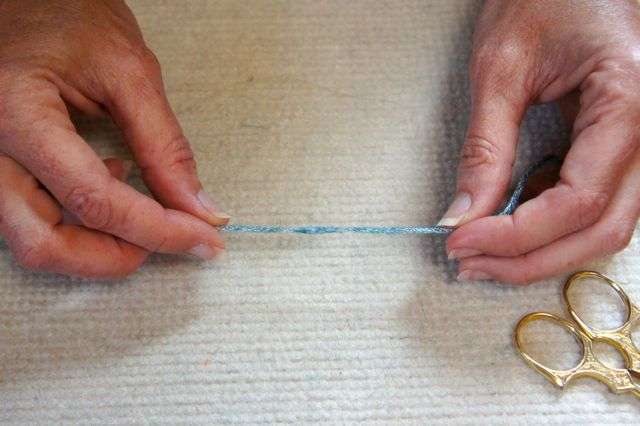 I’m never 100% sure if a fiber will hold the splice until I give it a try, but often if a yarn has a bit of bite to it, a cotton, or raw silk blend for instance, or a machine washable wool, acrylic blend, it will work like a charm. 1) The first thing I do is cut away a bit on each tail. Here I have a single ply, and I’ve done a bit of a diagonal cut on each end. 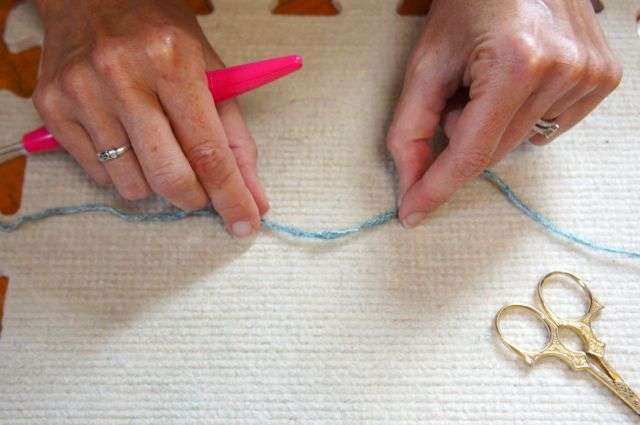 2) Overlap the two ends and place them on a surface you can stab into. You can use a felting mat, or I used my handy Knitter’s Blocks blocking board. 3) As you stab (being oh, so careful to keep your hands far away from those CRAZY sharp needles), you’ll see that the join may start to flatten out a bit. You can turn it so it stays round. 4) Give a delicate tug to see how it’s going. If it starts to slide apart, keep stabbing until . . .
5) Ta Da . . . the needle felted join.